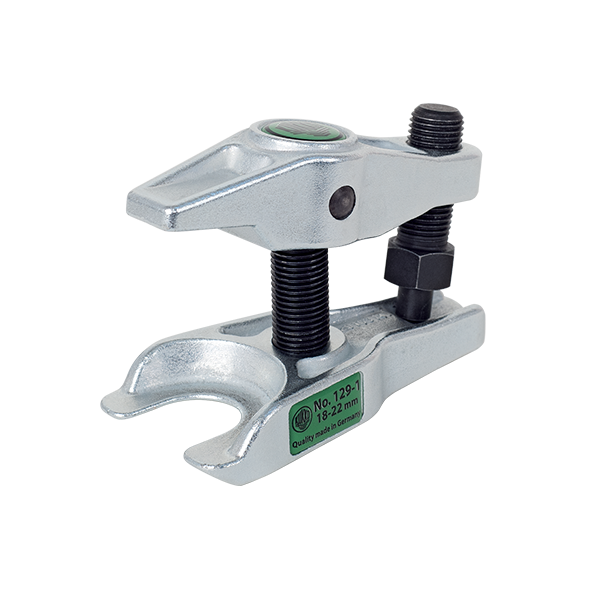 For extracting ball pins when dismantling ball joints, track-rod ends on track rods, for passenger cars and light delivery vehicles. Made from sturdy, alloyed, hardened and tampered steel, galvanized. Milled thread treated with special coating. Almost all components available as replacement parts, time-saving order process thanks to numbering system.